TYPE OF CAMP: Day Camp. Daily: Monday - Friday, 9 a.m.-4 p.m. Morning care (beginning at 7:30 am) included at no additional cost. Afternoon extended care (until 6 p.m.) available for purchase. BRIEF CAMP DESCRIPTION: Cal Youth Camps offers a variety of award-winning camps and sport/outdoor activities - including swimming, soccer, skateboarding, rock climbing, gymnastics, martial arts, sailing and more - for kids of all ages. Drop-in, 1- and 2-week options available. Payment plan and camp scholarships available. Our staff are second to none and will encourage your children to have incredible experiences in a safe and exciting outdoor environment. We design our programs to provide kids with a summer full of adventure, learning life skills, friendship making, and confidence building! SPECIAL NEEDS CAMPERS: Blue Camp, located on the U C Berkeley Campus, has one-of-a-kind social skills camps for children with Nonverbal Learning Disabilities, High Functioning Autism, Asperger’s Syndrome, and children with similar social skills deficits. There is an application for the program to ensure the best fit between the camper’s needs and program structure. These programs are not designed for children who need one-to-one assistance or have significant non-compliant or aggressive behavior. Our goal is to provide a supportive environment for children to learn social skills through participation in sports and recreational activities. Specific focus is placed on making and maintaining friendships and the culture of winning and losing in sports and games. Dance, Fine Arts/Crafts, Basketball, Football, Baseball, Weightloss, Soccer, Golf, Gymnastics, Swimming, Tennis, Waterfront/Aquatics, Sailing, Volleyball, Martial Arts, Team Sports, Science, Adventure, Wilderness/Nature, and more. Arts & Crafts, Gardening, Frisbee, Fun N Games, Magic Cards, Tennis, Leadership Development Programs For Teens, Motor Fitness, Rugby, Softball, & More! 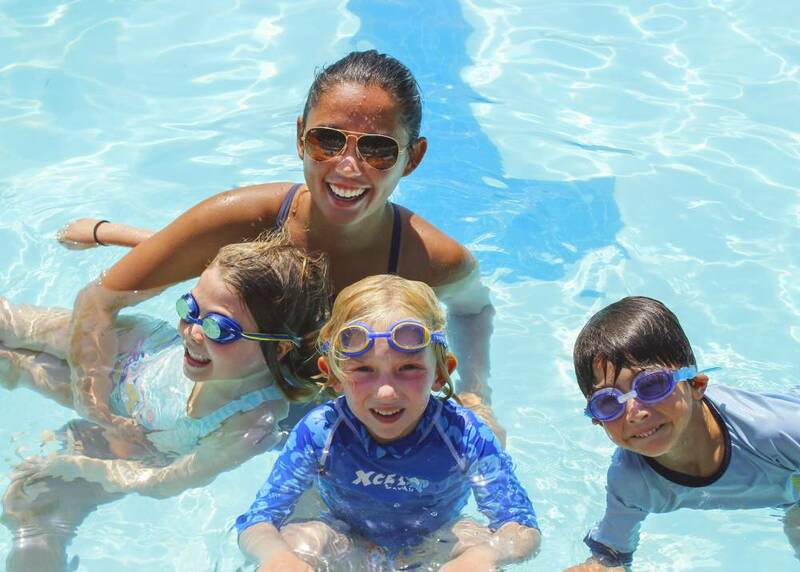 CAMP FACILITIES: We offer American Red Cross swimming lessons at our pool facilities, bountiful fields, indoor spaces for learning, out door basketball courts, tennis courts, volleyball courts, and softball fields. CAMP PROGRAM INFO: Give your camper a summer full of fun, friendship and adventure with Cal Youth Camps! We offer affordable award winning – receiving Diablo Magazine’s Best of the East Bay for summer camp for four consecutive years – camps and sport/outdoor for kids of all ages. Whether your camper wants to learn to sail, play soccer or Frisbee with friends, or experiment with science at Lawrence Hall of Sciences - there’s something for all interests. Scheduling the summer is a breeze with 1-week, 2-week and single-day drop-in sessions available all summer long (June 11-August 25). Busy schedule? Morning extended care (beginning at 7:30 am) is included at no additional charge for all camps, with affordable afternoon extended care (until 6 p.m.) available for purchase. Camps offer tremendous benefits for children to grow and learn – that’s why we want camps to be accessible to as many campers as possible with our camp scholarship program. Families can receive up to $300 in credit toward an unforgettable summer. Camps fill quickly – register today! CAMP LEADERSHIP CIT/LIT PROGRAMS: Cal Youth Camps have a Junior High and High School Leadership-to-Work Program that provides kids with an opportunity to learn outstanding leadership skills that can be applied to all aspects of life. CAMP SCHOLARSHIPS OR FINANCIAL ASSISTANCE: Camp is a great experience for kids. It’s a place to learn new skills, meet friends, and have fun! We want as many kids as possible to have the opportunity to attend our camps. But we also know that the cost of camp can be a burden for some families. For that reason, we’ve created a scholarship program. Families can receive up to $300 in credit toward camp purchases. YEAR-ROUND PROGRAMS: To keep your kids active all year long, we offer classes that extend past the summer. Your child can climb, boat, kick, tumble and swim the way through the year! Activities include archery, gymnastics, swimming lessons and more. Thank you for your interest in working at one of our camps! Our hiring process is competitive and we receive hundreds of applications each summer, so apply now! Please review the job descriptions and the steps for applying. Interviews begin in March and continue throughout the summer, though most of our hiring is complete by early June.